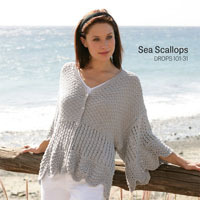 Go to original pattern for design DROPS Extra 0-760. 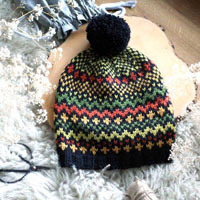 Crochet DROPS heart in ”Eskimo”. 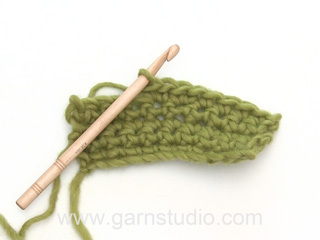 DROPS CROCHET HOOK SIZE 5 mm – or size needed to get 12 dc = width 10 cm. 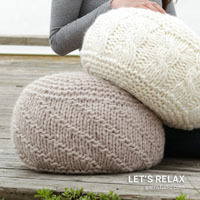 You can get the yarn to make this pattern from	15.20£. Read more. 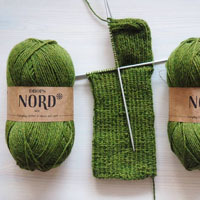 When piece is worked in the round, start with this technique to avoid holes in the middle (instead of ch): Hold the yarn end and wind the yarn one time around the index finger to make a loop. 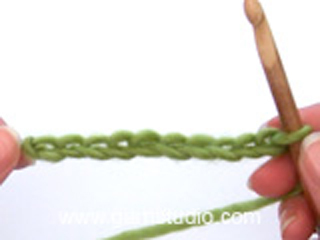 Hold the loop with left thumb and middle finger, place the thread over left index finger. Insert hook through the loop, make a YO and pull thread through loop, work 1 ch, then work dc around the loop. When the desired no of dc have been reached, pull the yarn end to tighten the loop. Fasten the yarn end on the back side. Continue to work in the round in a circle. After last dc on the round, continue to next round with 1 dc in next dc (= first dc on next round). NOTE: Insert a marker between last dc and first dc on the round, move the marker upwards. * Insert hook in next st, get thread *, repeat from *-* one more time, make a YO and pull thread through all 3 sts on hook. First work 2 halves top down, then place the 2 parts tog and continue to work in the round towards the bottom of the heart. Start by working a Magic circle with Eskimo on hook size 5 mm - READ EXPLANATION ABOVE! ROUND 1: Work 7 dc in the magic circle. READ WORK IN THE ROUND IN A CIRCLE! ROUND 2: 2 dc in every dc = 14 dc. ROUND 3: * 1 dc in next dc, 2 dc in next dc *, repeat from *-* the rest of the round = 21 dc. ROUND 4: * 1 dc in the next 2 dc, 2 dc in next dc *, repeat from *-* the rest of the round = 28 dc. ROUND 5: * 1 dc in the next 3 dc, 2 dc in next dc *, repeat from *-* the rest of the round = 35 dc. ROUND 6: Work 1 dc in every dc = 35 dc. ROUND 7: * 1 dc in the next 4 dc, 2 dc in next dc *, repeat from *-* the rest of the round = 42 dc. ROUND 8: Work 1 dc in every dc = 42 dc. ROUND 9: * 1 dc in the next 5 dc, 2 dc in next dc *, repeat from *-* the rest of the round = 49 dc. ROUND 10-11: Work 1 dc in every dc = 49 dc on the round. ROUND 12: * 1 dc in the next 6 dc, 2 dc in next dc *, repeat from *-* the rest of the round = 56 dc. ROUND 13-18: Work 1 dc in every dc = 56 dc on the round. Cut the thread and keep 40 cm for assembly. Work another half heart the same way but do not cut the thread to continue to next round. ROUND 19: Work 1 dc in every dc = 96 dc. ROUND 20: * 1 dc in the next 11 dc, 2 dc in next dc *, repeat from *-* the rest of the round = 104 dc. ROUND 21: Work 1 dc in every dc = 104 dc. ROUND 22: * 1 dc in the next 12 dc, 2 dc in next dc *, repeat from *-* the rest of the round = 112 dc. ROUND 23-24: Work 1 dc in every dc = 112 dc on the round. ROUND 25: * 1 dc in the next 26 dc, then crochet the next 2 dc tog * - Read explanation above, repeat from *-* the rest of the round = 108 dc. ROUND 26: Work 1 dc in every dc = 108 dc. ROUND 27: * 1 dc in the next 25 dc, then crochet the next 2 dc tog *, repeat from *-* the rest of the round = 104 dc. ROUND 28: Work 1 dc in every dc = 104 dc. ROUND 29: * 1 dc in the next 24 dc, then crochet the next 2 dc tog *, repeat from *-* the rest of the round = 100 dc. ROUND 30: Work 1 dc in every dc = 100 dc. ROUND 31: * 1 dc in the next 23 dc, then crochet the next 2 dc tog *, repeat from *-* the rest of the round = 96 dc. ROUND 32: Work 1 dc in every dc = 96 dc. ROUND 33: * 1 dc in the next 10 dc, then crochet the next 2 dc tog *, repeat from *-* the rest of the round = 88 dc. ROUND 34: Work 1 dc in every dc = 88 dc. ROUND 35: * 1 dc in the next 9 dc, then crochet the next 2 dc tog *, repeat from *-* the rest of the round = 80 dc. ROUND 36: Work 1 dc in every dc = 80 dc. ROUND 37: * 1 dc in the next 8 dc, then crochet the next 2 dc tog *, repeat from *-* the rest of the round = 72 dc. ROUND 38: Work 1 dc in every dc = 72 dc. ROUND 39: * 1 dc in the next 7 dc, then crochet the next 2 dc tog *, repeat from *-* the rest of the round = 64 dc. ROUND 40: Work 1 dc in every dc = 64 dc. ROUND 41: * 1 dc in the next 6 dc, then crochet the next 2 dc tog *, repeat from *-* the rest of the round = 56 dc. ROUND 42: Work 1 dc in every dc = 56 dc. ROUND 43: * 1 dc in the next 5 dc, then crochet the next 2 dc tog *, repeat from *-* the rest of the round = 48 dc. ROUND 44: Work 1 dc in every dc = 48 dc. ROUND 45: * 1 dc in the next 4 dc, then crochet the next 2 dc tog *, repeat from *-* the rest of the round = 40 dc. ROUND 46: Work 1 dc in every dc = 40 dc. ROUND 47: * 1 dc in the next 3 dc, then crochet the next 2 dc tog *, repeat from *-* the rest of the round = 32 dc. ROUND 48: Work 1 dc in every dc = 32 dc. ROUND 49: * 1 dc in the next 2 dc, then crochet the next 2 dc tog *, repeat from *-* the rest of the round = 24 dc. ROUND 50: Work 1 dc in every dc = 24 dc. ROUND 51: * 1 dc in next dc, then crochet the next 2 dc tog *, repeat from *-* the rest of the round = 16 dc. 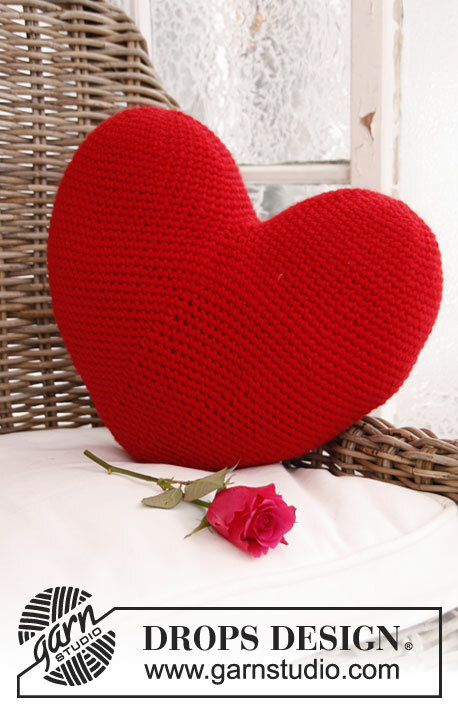 Fill the heart with some cotton wool until approx. 1 cm from edge. ROUND 52: Work 1 dc in every dc = 16 dc. ROUND 53: Crochet all dc tog 2 by 2 = 8 dc. ROUND 54: Crochet all dc tog 2 by 2 = 4 dc. Fill some cotton wool through the hole. Cut the thread and pull it through all the sts, fasten the thread. Witam!Nie rozumiem jak mam połączyć te dwie zrobione połówki,ogólnie nie rozumiem tego tekstu po 18 rzędzie ?Najlepszym rozwiązaniem byłby jakiś filmik,lub fotki jak ktoś to wykonuje,dalsze rzędy rozumiem!Proszę o pomoc! Witaj Grażyno! Należy zszyć razem 8 oczek każdego łuku (środek serca), następnie na szydełku przerabiać 1 oś we wszystkie pozostałe oś wokół każdego łuku (= jest 56 oś na każdym łuku - 8 oś zszytych razem = 48 oś pozostaje na każdym łuku, 1 oś w każde z 48 oś na każdym łuku = 96 oś). Miłej pracy! Misschien lees ik er overheen hoor, maar uit hoeveel bollen bestaat dit kussen? Dan weet ik een beetje hoeveel ik kan bestellen. Is there a tutorial to show how to join the two arches? This is the only part I am confused about. Dear Monica, sew together 8 sts from each arch (middle of heart), then crochet 1 sc in each of the remaining sc around each arch (= there were 56 sc on each arch - 8 sc sewn tog = 48 sc remain on each arch, 1 sc in each of the 48 sc on each arch = 96 sc). Happy crocheting! Dear Shabra, we are unfortunately not able to adapt each our pattern to every individual request, but you are welcome to request further assistance from your DROPS store. Happy crocheting! 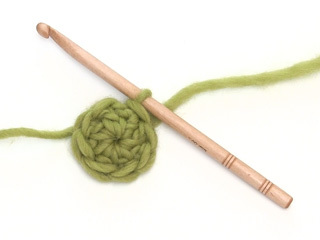 Should the rounds be connected by a slip stitch when moving to a new round or are they connected using a single crochet? Dear Lacey, place a marker in the first sc on 1st round, at the end of the round, do not join, crochet 1 sc in the 1st st at beg of previous round (= st with marker), then move the marker to this st and continue the round, ie you will work in the round in a continuous spiral, without joining, but moving marker in the first st on every round to mark beg of round. Happy crocheting! Tijdens het haken van de cirkel krult de cirkel helemaal op, het lijkt nu erg op een mutsje. Wat doe ik fout ? Hoi Melody. Misschien haak je een beetje te strak? Controleer de stekenverhouding en vaak wordt het ook beter als je verder komt. I do not understand the instructions for the joining of the two halves of the heart. Which of the halves goes on the top? Or am I completely lost? 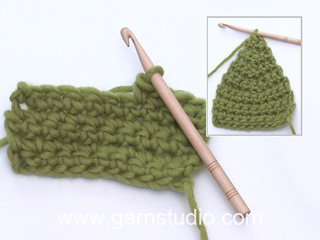 Dear Darlene, heart is worked from top down, you first crochet both "arches" then put them together and continue in the round with dec until the bottom tip. Happy crocheting! Hoe kan je dit patroon verkleinen? Ik zou een kleinere versie willen maken. Ik kan je helaas niet helpen met aanpassen van het patroon. Maar je zou het eventueel kunnen doen door minder v te haken voor de 2 helften. Maak een proefje en pas aan. Of ga naar de winkel en vraag of ze jou kan helpen.